TORONTO – April 14, 2014 – Robert Herjavec, Founder and CEO of Herjavec Group and star on ABC’s Shark Tank, is pleased to announce the acquisition of privately held Galaxy Tech, a Dallas based leading security integrator with key clients in every US state. Following the April 15 close, Galaxy Tech will be rebranded as Herjavec Group and represents its seventh acquisition in the past decade. The Galaxy Tech acquisition is critical to Herjavec Group’s major expansion into the fast growing U.S. cyber security market. Herjavec Group is Canada’s leading MSSP (Managed Security Services Provider) and integrator – having grown sales from $400K to over $125 million in less than 10 years! 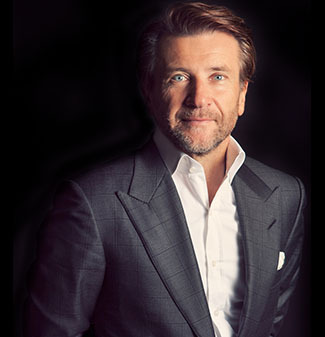 “While I always knew we had a world class team,” Robert Herjavec remarked, “recent engagements have proven to me that we can compete and add value on a global scale to our clients.” The acquisition is part of a 3 year $250 million planned expansion including nearly doubling its cyber security talent to 250 people. Dallas, Texas will become Herjavec Group‘s US head office with regional offices opening this quarter in Los Angeles, New York, Chicago, and Miami. A world-class Security Operations Center (SOC) will be built in Dallas leveraging the state of the art technologies from the three Herjavec Group SOCs (two in Canada and one in European Union). To augment its cyber security talent, Herjavec Group is proud to announce the hiring of Atif Ghauri as Chief Technology Officer (CTO) for US operations. “I am thrilled to have Atif leading our US technical group, as he is one of the top security and operations architects – in the world!” says Herjavec. Ghauri joins Herjavec Group from Comcast Corp. where he was head of security, and led XFINITY home security and automation. He previously held positions at IBM consulting and holds a Masters in Technology Management from Wharton; he has been published extensively and holds a patent for a fraud algorithm.